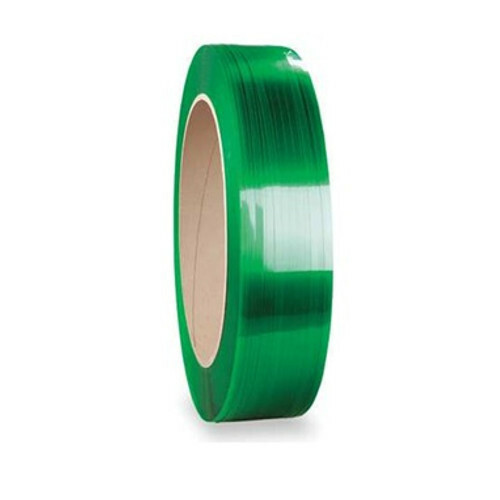 With the assistance of our team of adroit professionals, we have been able to offer Green Strapping Tenax Tape. These tapes are tested on several quality provisions by vendor’s quality controllers for supplying a flawless range. This tape is manufactured from the best in class material & modern techniques in adherence with the set norms of industry. Offered tapes are provided in various specifications as per the requirements of the customers. We, Sree Sannidi Associates are leading Distributor / Channel Partner, Trader and Wholesaler of a quality assure assortment of Carton Sealing and Strapping Machine. Our exclusive range includes Strapping Tool, Carton Sealing Machine and Versatile Packaging Solution. Our offered products are manufactured using accurate materials and are highly demanded among our clients for their outstanding quality and optimum performance. Our wrapping and strapping machine are highly appreciated for its durability, environmental friendliness and accurate results. Apart from this, we are offering these products at industry leading prices to our customer. Our offered range of product is highly required in various industries due to their attributes like excellent functionality, sturdy construction and impact resistance. Before delivering these wrapping and strapping machine to our valued clients, the offered range is tested by our vendor’s quality controller team in order to assure their quality at the client end. We bought these offered products from the authentic supplier of the market.